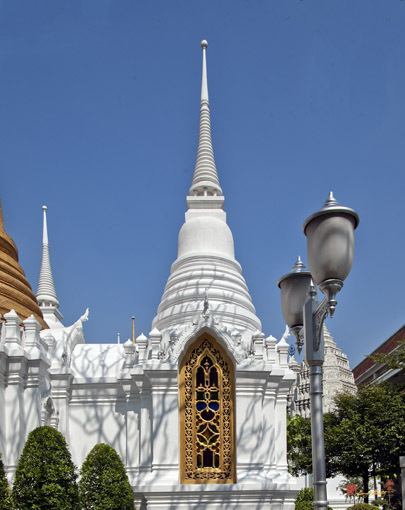 Wat Ratachabophit, วัดราชบพิธ, or more completely Wat Ratchabophit Sathitmahasimaram Ratchaworawihan, วัดราชบพิธสถตมหาสีมารามราชวรวิหาร, was constructed in 1869 (B.E. 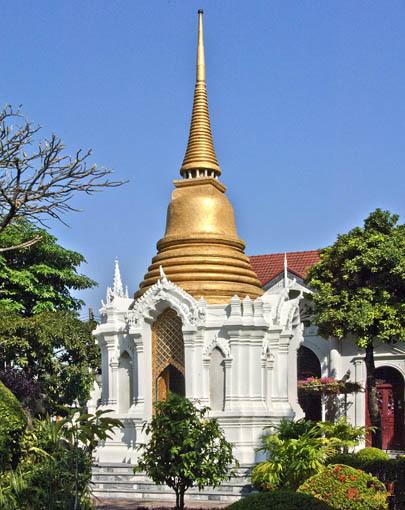 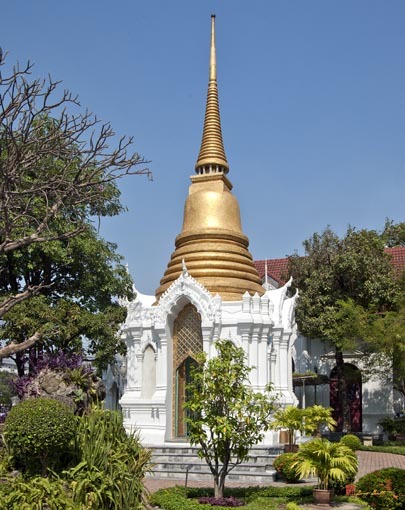 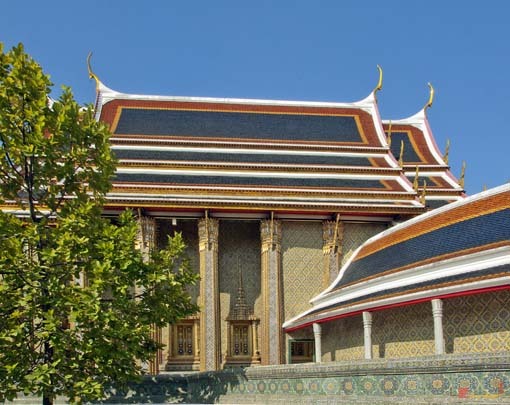 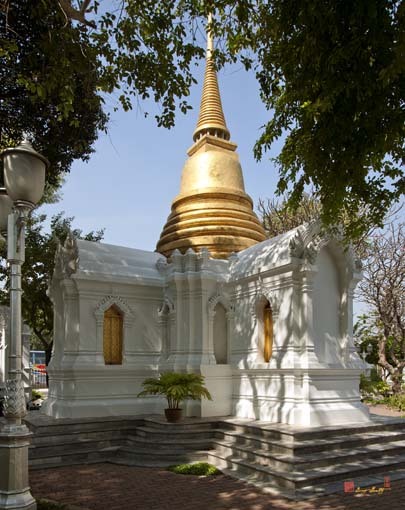 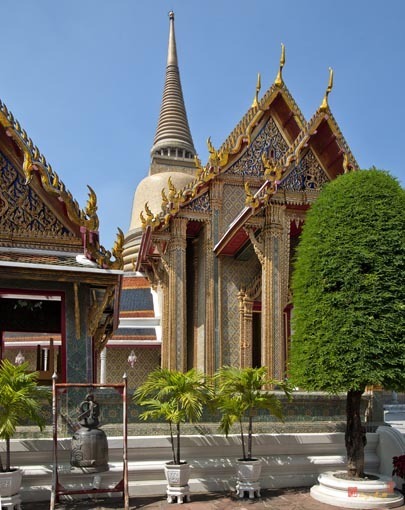 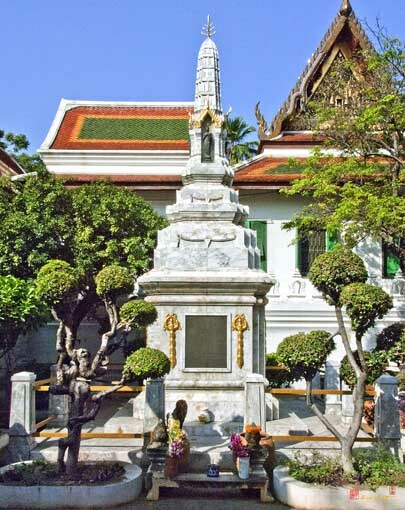 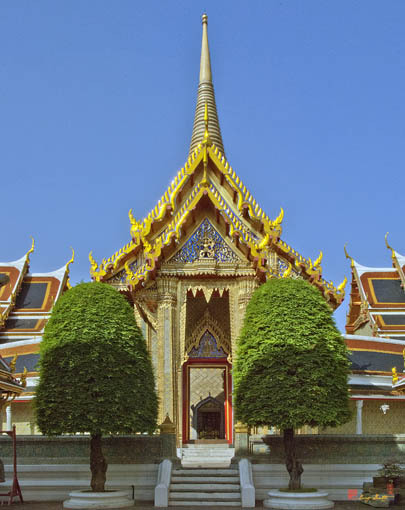 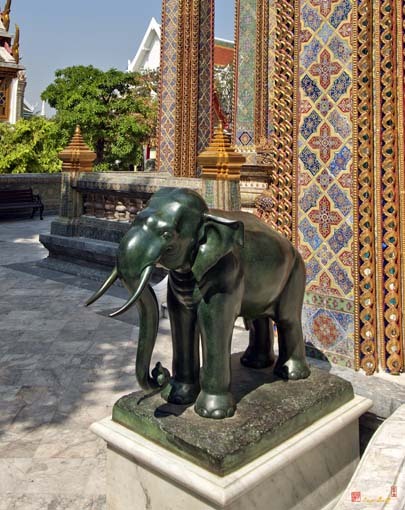 2412) by King Rama V. The king made it his royal temple for his reign as was the custom of former kings (such as Wat Phra Chetuphon for King Rama I, Wat Arun during King Rama II's reign, Wat Ratcha Orasaram of King Rama III's reign, and Wat Ratchapradit during King Rama IV's reign). 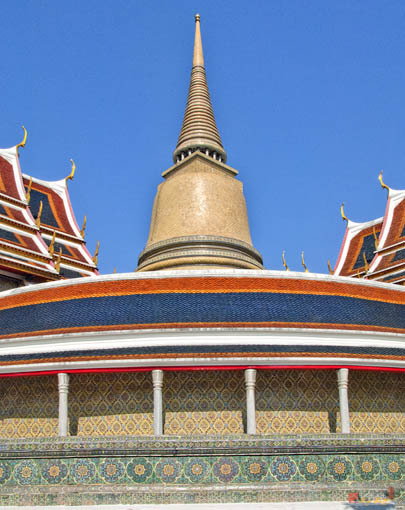 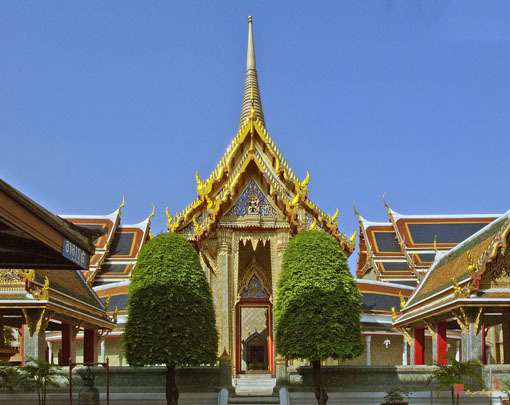 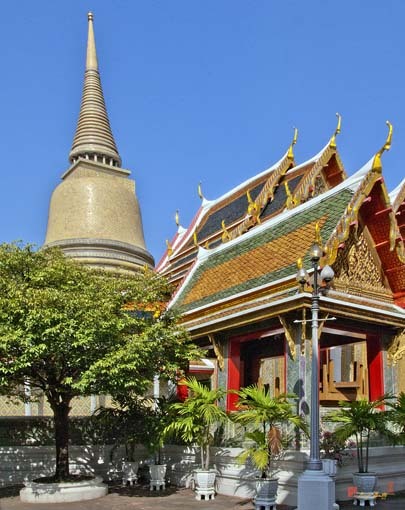 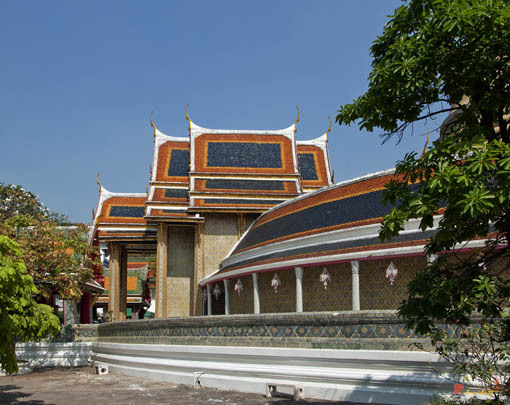 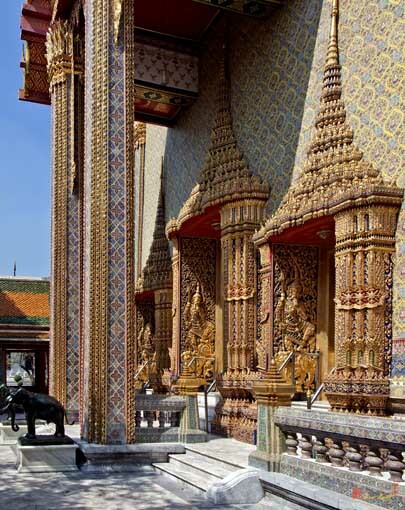 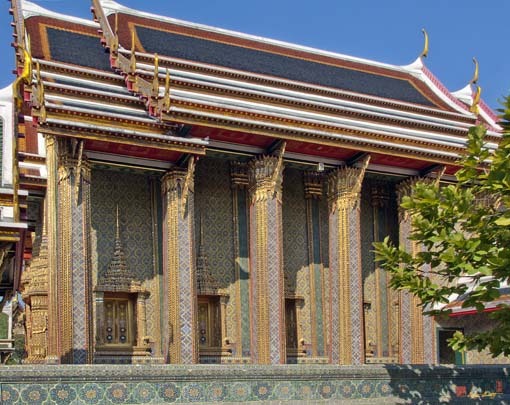 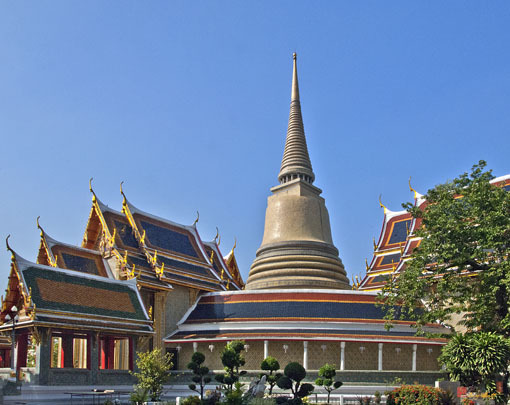 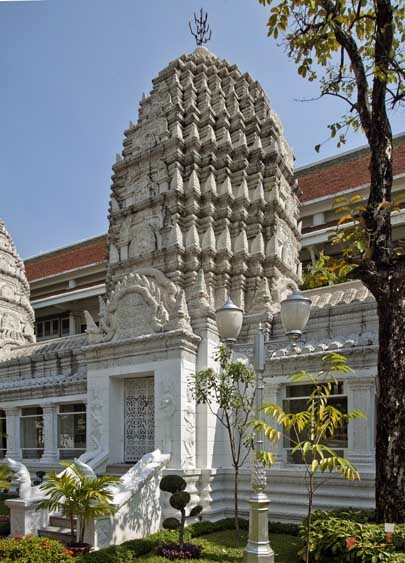 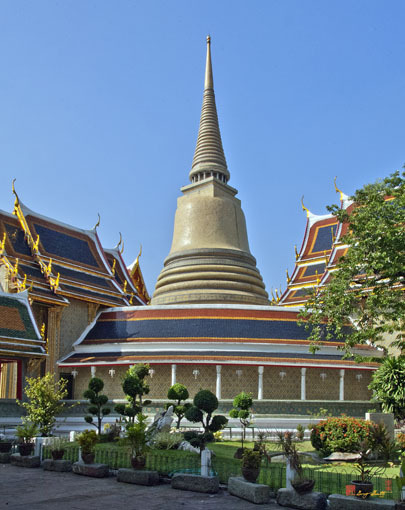 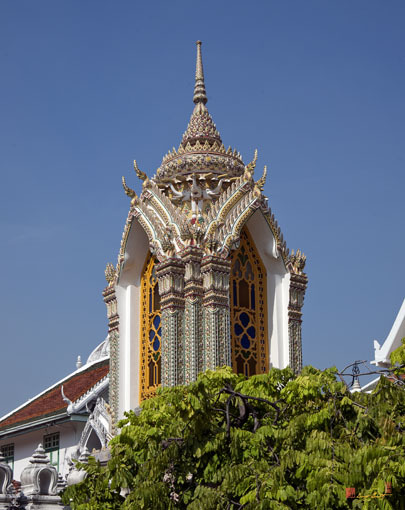 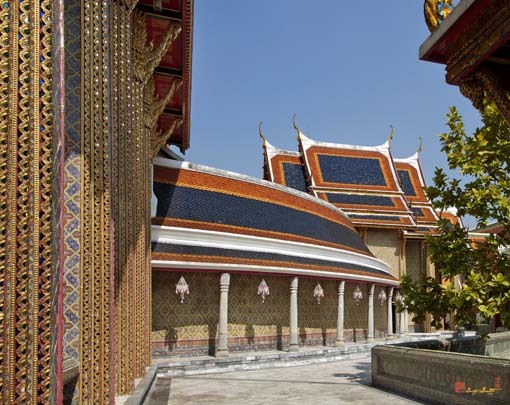 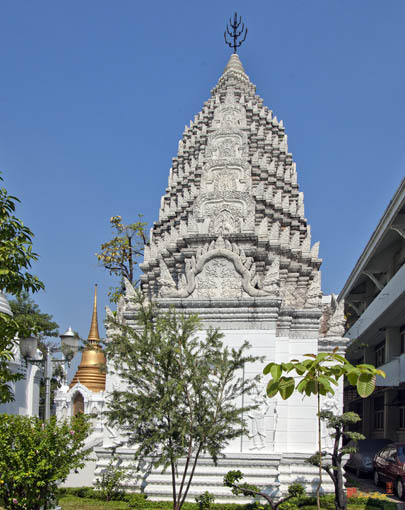 The word Ratchabophit means The Temple Built by the King, and the words Sathit Maha Simaram mean The Temple where big boundary stones are erected. 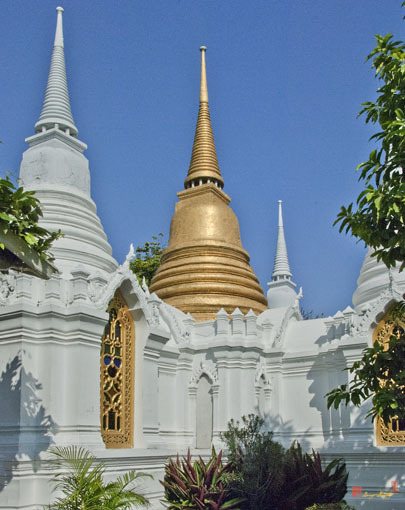 The temple was well planned. 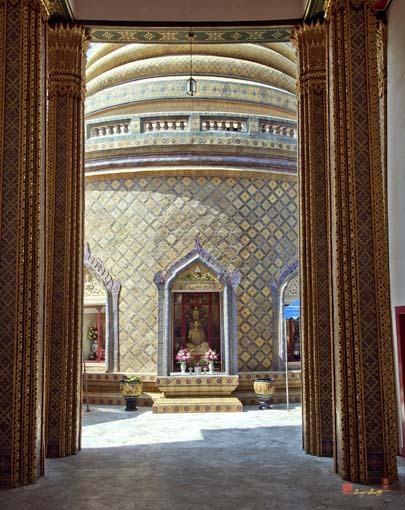 The round gallery is an unique feature, linking the Ubosot and Wihan. 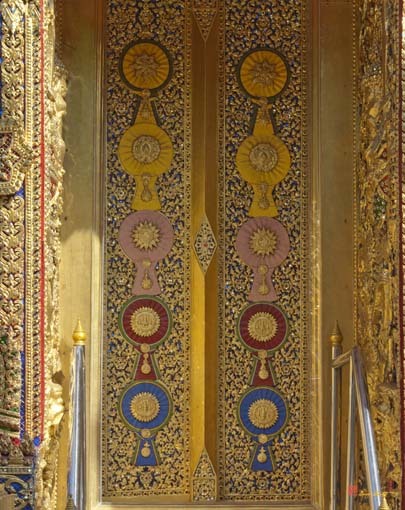 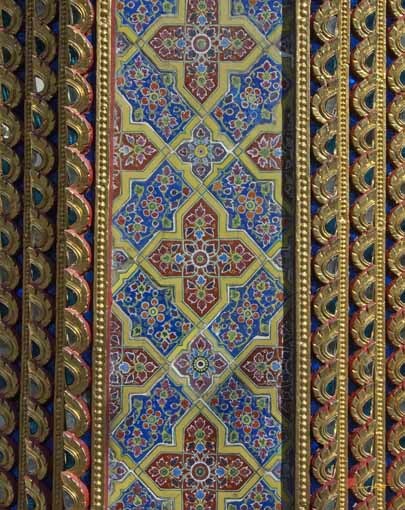 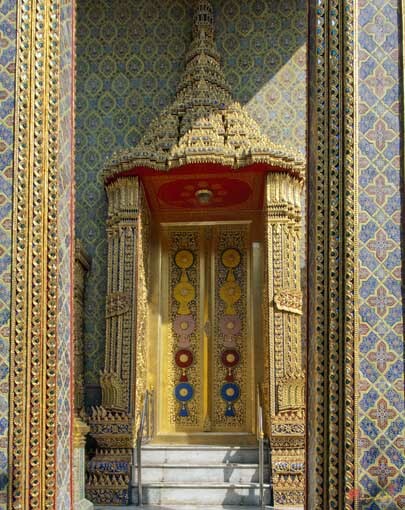 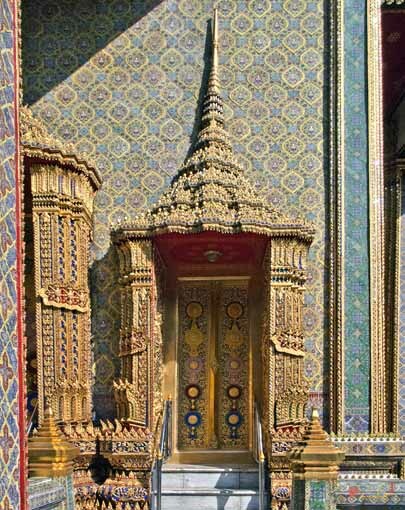 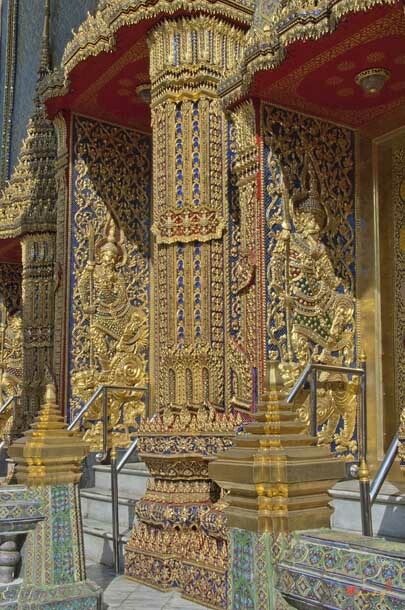 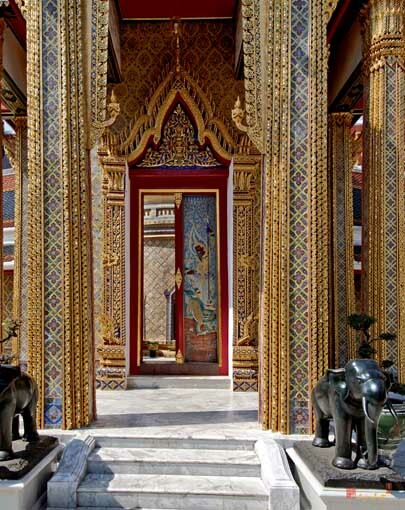 Inside, the Ubosot is decorated in Thai and French styles.